Over the past few weeks, in a variety venues, I’ve had a wide ranging discussion with people about the impact of change on them and their organizations. The issues of “doing more with less”, of personal stress, morale, and fear, of the loss of control over the competing demands of personal and professional life, and how to make decisions when the future is unknown has been driving these discussions. 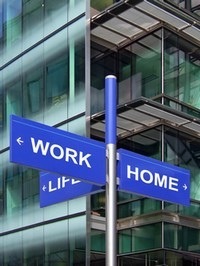 The crux of the matter is that the line between work and life is thinning. It is a mark of the economic, social and technological changes that is impacting every segment of society. These changes are disruptive, disorienting and are altering our expectations about the future. For many of us, change has been an abstract concept that only randomly and briefly intrudes into a daily lives. Our lives until recently were quiet, calm and stable. Change was viewed as a momentary interruption in the steady, consistent and predictable forward march of time. Two generations ago, a person could expect to live their whole life with one spouse, close to parents and grandparents, in the same house, and spending their career with only one employer. Now, our lives are serialized. We move from career to career, with blended families and a commuting pattern that would dismay world explorers of five hundred years ago. We live in constant movement through moments of transition from one disconnected context to the next. We are like gypsies, moving from one place to another, always looking for new opportunities with no communal roots except with our fellow travelers. This experience is not limited to home life but also to work and the changes that many businesses have experienced. As businesses go through mergers and acquisitions, as they open, close, reopen, reengineer staff, offices, warehouses and manufacturing plants, change becomes the only constant. Executives move from one location to another, as reorganizations and consolidations take place, as programs and staff are cut, all in search of stability and sustainability of revenue. This experience of constant, unrelenting change has its effect on people. It does not matter if you are a CEO or a maintenance supervisor. There is a price to pay for the kind of change we are experiencing. That price is personal and organizational, and understanding the connection is critical. One way we can address the thinning line between work and life is to focus on those leadership activities that build a stronger social environment. Building trust and integrity, communicating a clear purpose and commitment, and providing ways for employees to address the personal issues that affect work, creates a culture that is more resilient and adaptable in the midst of change. Based on what I’ve been hearing from people over the past few weeks, I’ve reached a conclusion that we need a different way to elevate and refocus our conversation about change. My Leadership Q&A column focuses on practical issues related to leadership. Beginning today, I am alternating my column between those leadership questions that you share with me directly and through your stories, and the effect of change upon our personal and professional lives. 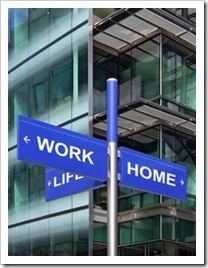 The Work/Life Leadership theme addresses this thin line separating personal and professional lives. The issues are not simply, “How do I deal with personal stress?”, though important. But rather, as the owner or manager of a business, “How do I effectively address the stress that my employees are experiencing?” Yes, I’m assuming that it is a manager’s obligation to care for the welfare of his or her employees. I am very interested in your questions, thoughts and issues related to Work/Life Leadership. These are very complex issues. I don’t assume that I have the answers to every issue. My purpose is to create a conversation here that can also occur where you work, as we begin to address ways we can lead organizations to provide a better environment for people to contribute their very best everyday. If you have ideas to contribute, please do so in the comments section. Make sure you leave your email address so I can contact you if clarification is needed. Thank you for participating in this conversation and contributing to making a difference. Work Life Lead: What Do We Want From Our Life & Work? Tagged with change, doing more with less, economic, fear, future, leadership, life, morale, personal, professional, social, stress, technological, work.